According to a 2008 Kaiser Permanente study and as published in the Journal of Preventative Medicine, participants who kept food journals lost almost double the weight of their non-journaling counterparts. DOUBLE the weight! Imagine losing 10 of those unwanted fat pounds in 6 weeks versus just 5 pounds after more than a month of hard work! 8 weeks of daily Nutrition journal pages for each of your daily meals and snacks and a breakdown of calories, fat, carbs, and protein. 8 Weeks of daily Exercise journal pages including sections for cardio, resistance training, heart rate tracking and duration. Over 20 pages of diet and nutrition information and facts about weight management, proper training instructions, a muscular and skeletal map, and easy-to-read outlines of how your body works best when exercising and dieting for optimal results. Weekly body measurements and weight tracking. A section for goal-setting and accountability. Grocery checklists for you to take with you! A page to paste your ‘before’ and ‘after’ pictures for inspiration and motivation! A exercise and diet journal is THE #1 recommendation I give every one of our clients to ensure their success and those that are accountable to their journal (it’s convenient to take with you everywhere!) have nearly double the results! FREE BONUS: You won’t find another journal like this PLUS you’ll get our 45-Minute Body Project “Hotlist” workout playlist CD FREE! You’ll want to pump these jams to keep you motivated to sweat and work through your workouts! 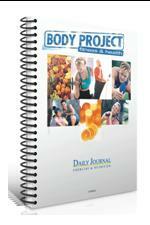 Get your personal 8-Week Transformation Journal and CD for only $19 and we’ll ship it directly to you ASAP!